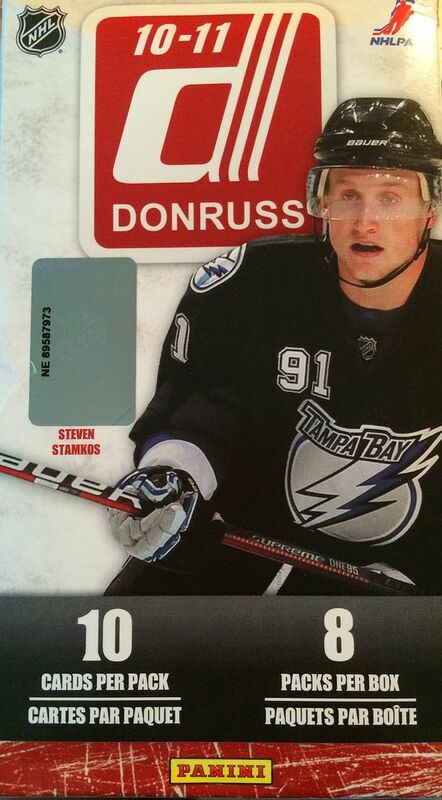 I wish Donruss was a bigger name in the hockey world. It is mainly known for its baseball lines in the 80's and 90's. I think Panini dropped the ball with this product, as it could have been a much better brand than it was when it came out in 2010. 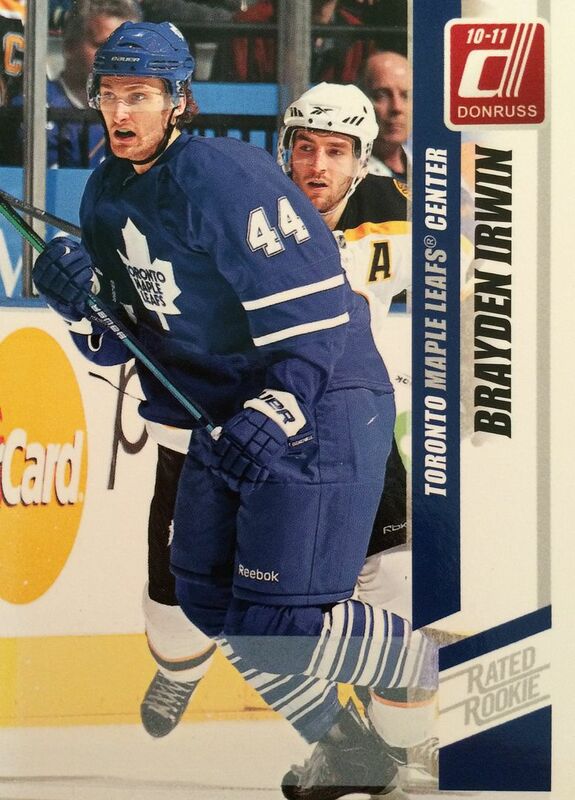 Well, it looks like we won't be seeing Donruss back again anytime soon as Panini has lost its NHL license. That's too bad, because it was one product I would have loved to see given another shot! For its current price, Donruss is a nice buy if you're looking for something to bust on the cheap. Donruss doesn't deliver upper-echelon cards, but it does have quite a few fun cards for collectors to find. Hits may not be guaranteed per blaster, but you should find at least a handful of insert cards and rookies. Like I thought, there wasn't a hit in this blaster... but there was at least a few inserts that I enjoyed getting. The one insert that I don't particularly like though is the Boys of Winter set. It's a relatively large insert set, but the cards don't stand out in any way to me. Memorabilia versions of these cards exist, but those aren't that great either. I always wonder why companies put inserts like these into their products. The Fans of the Game insert set is a nice idea. 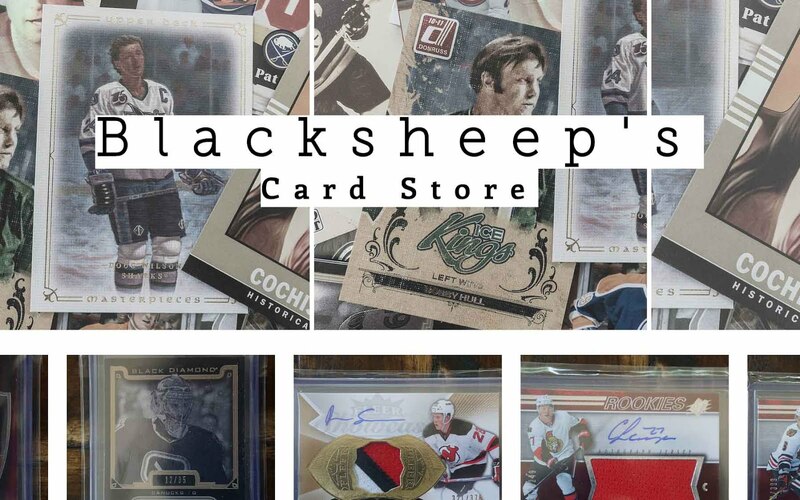 Panini has found many ways of getting personalities other than hockey stars into their hockey products. Some may not like this practice, but I think it makes for a great change of pace. 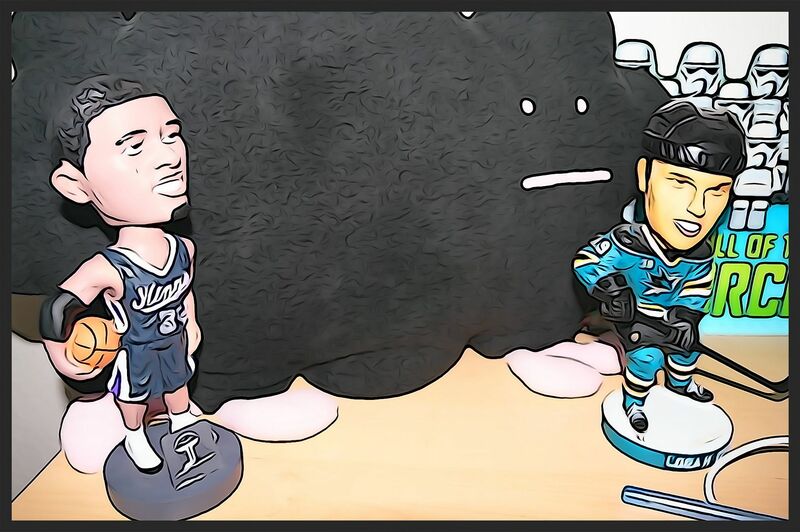 As a Sharks collector, I would have loved to get an autograph from a celebrity Sharks fan. It would have made a unique item in my collection. Yes, this is just a base card. 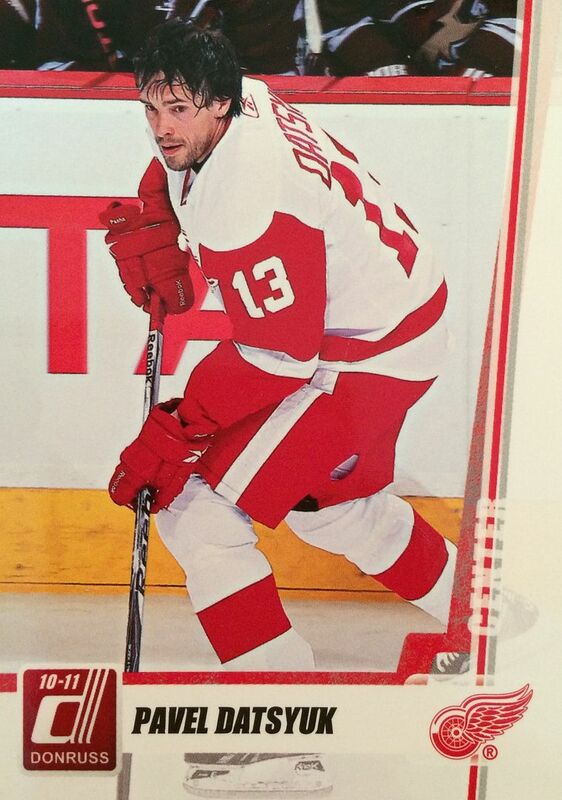 It made it into the top three ahead of a couple insert cards because I love the photo of Pavel Datsyuk without his helmet on. It reminds me so much of the olden days of hockey when some guys chose to play without a helmet on. I'll always have a soft spot for Rated Rookie cards. Sure, this doesn't look anything like the classic Rated Rookies, but the mere fact that it has the Rated Rookie logo makes me like this card. 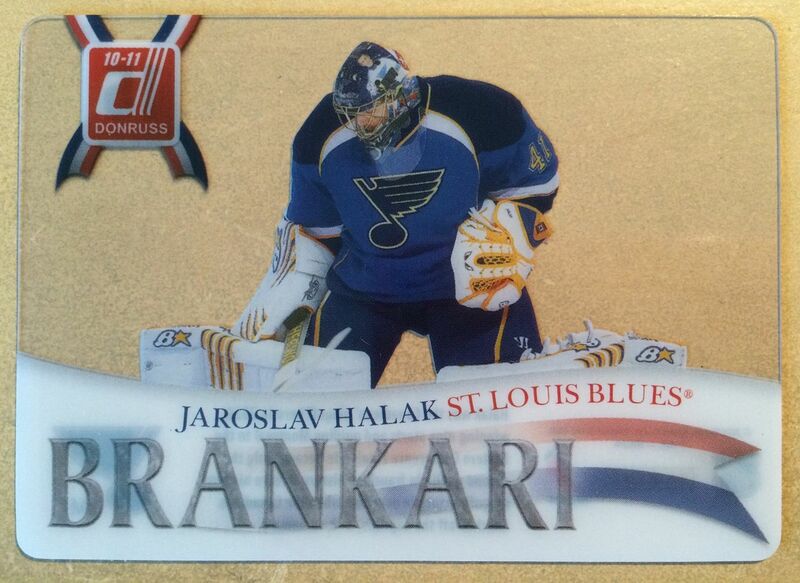 These Goalie insert cards made out of acetate are great inserts to find in 10/11 Donruss. They are plentiful and easy to find, but the design is really top notch. The fact that there are different languages on the different cards makes them even better! At under eight dollars, Donruss is a good buy. 10/11 Donruss brings me back to a time when I was just looking to find cards and have fun with them. At its price, you can afford to really just have fun with these cards... plus there is always the chance of pulling something surprising out of a blaster one day. It's rare, but it could happen. 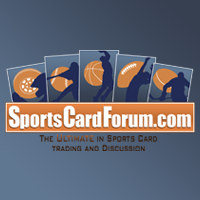 I enjoyed my blaster of Donruss, and I'm sure there are collectors out there who would feel the same way. Nice break! I like these acetate cards. Where I live, I have never seen any Donruss blaster box and I wonder why. hmm, that's odd. but that they are quite old now. you can probably only get them online now.